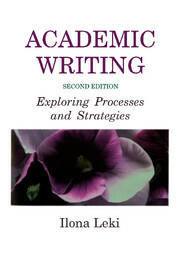 Academic skills and language are introduced through lectures and authentic academic texts in two complementary books. 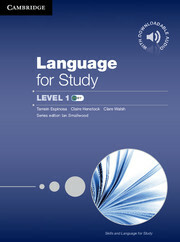 The core Skills for Study book focuses on the academic skills required to function effectively in a university environment whereas Language for Study explores the language needed to practise those skills. While taking students through the writing process, this book also teaches attention to form, format, and accuracy.